High Hurstwood is nestled in the picturesque Sussex countryside in a designated area of outstanding natural beauty. 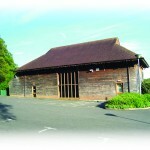 The village hall is situated on the village green, in the centre of the beautiful hamlet of High Hurstwood, with its historic church and numerous listed Elizabethan houses. 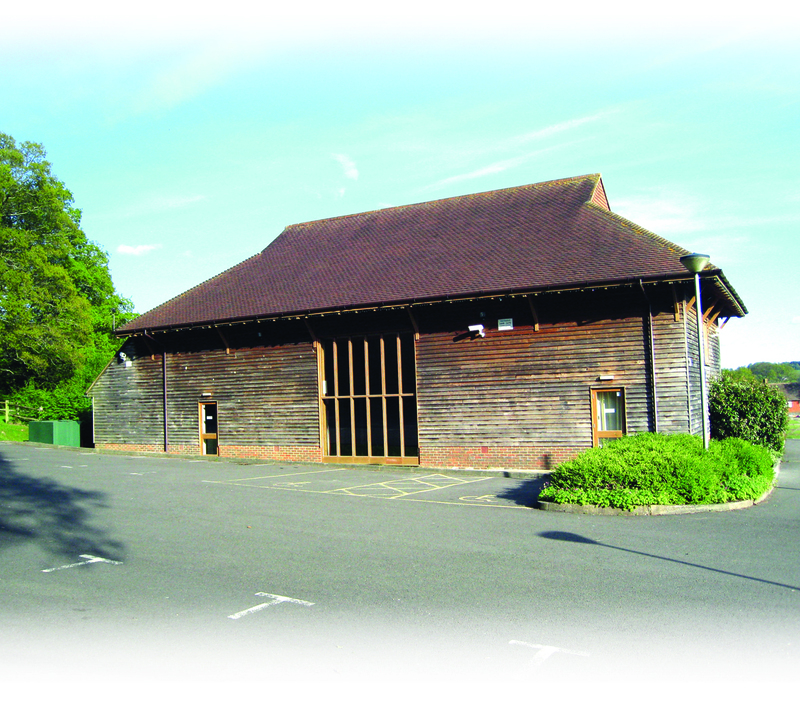 The village hall was built in 2000 to a very exacting standard and designed to reflect the style of a traditional Sussex barn which blends into this charming country village setting. 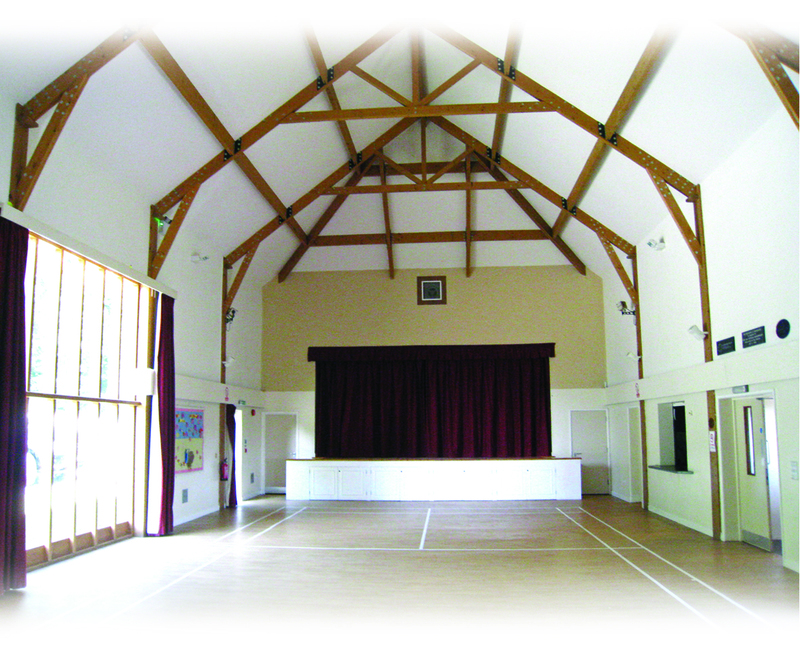 The Hall has been designed to function as a multipurpose building, but remains aesthetically pleasing with a vaulted ceiling featuring smart polished wooden rafters and a floor to ceiling window making it extremely light and airy. As night falls there is a choice of lighting to help create the appropriate ambience. 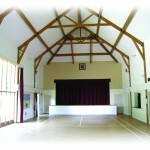 The main Hall measures 16 x 8 metres with a raised stage to the far end, with curtains and stage lighting. To the side of the hall there is a fully fitted and equipped kitchen with two ovens and a refrigerator able to cope with the requirements of your caterers. The kitchen comes fully stocked with cutlery and some basic crockery. Glassware is not included. 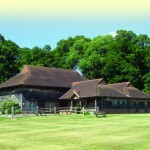 The Village hall is very popular and we recommend early booking to ensure that you reserve the date of your choosing. The hall is available for inspection at any time by phoning Elaine Goodey on 01825 733504 or emailing sandy-barton@gmail.com. Elaine Goodey is the contact for booking forms, reservations and deposits. Terms and conditions apply. For an additional charge of £50 there is a hire pack available which consists of 60 new chairs (making 100 new chairs in total) 10 round tables, 10 rectangular tables and new white crockery for 100 guests. Please arrange when booking the hall. Prices @ 2010. Please check for current prices. Wedding/party hire (e.g. Saturday) where hire needs to include the Friday evening before and the Sunday morning after for setting up and clearing away, £9 per hour for the Friday and Sunday, in addition to the wedding/party hire charge. A deposit is required for weddings and parties – £200 (returnable 14 days after event). We highly recommend a visit to fully appreciate the charm and quality that our unique hall offers at a price that offers true value for money. High Hurstwood is just four miles from Uckfield and four miles from Crowborough, with the historic town of Tunbridge Wells just twelve miles away. The nearest local railway station is Buxted with a direct service to London Bridge via East Croydon. By road High Hurstwood is located approximately one mile from the A26 which connects Lewes to Tunbridge wells with access to the M23, A22, A21, M25. From the A22 turn onto the A26 toward Crowborough. After approx one mile turn right, sign posted High Hurstwood, into Rocks Lane. Follow the road to the end, turn left into Hurstwood Road and proceed for another few hundred metres to the village green. The hall car park entrance is visible on the right. From Tunbridge Wells, head west on the A26 towards Crowborough, continue through the town and after approx three miles turn left into Chillies Lane, sign posted High Hurstwood, and follow the road for approximately two miles into the village. After passing a road junction to the left the hall car park entrance is 200 metres on the left.